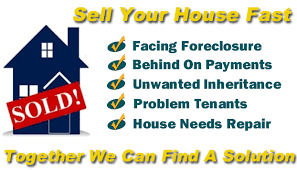 AVOID FORECLOSURE. Behind On Payments? Call Us NOW! If you’re facing foreclosure, don’t panic: Take steps right now to save your home and/or credit. Don’t panic! You have more options than you think! 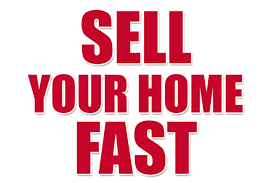 DO NOT DO A SHORT SALE! WE CAN HELP REGARDLESS OF HOW FAR BEHIND IN PAYMENTS YOU ARE! Our goal is to find solutions and to put a deal together that gives you a fresh start. To provide relief from your current situation. You deserve it! How are mortgage liens treated in Texas? Texas is known as a title theory state where the property title remains in trust until payment in full occurs for the underlying loan. The document that secures the title is usually called a deed of trust but may also be referred to as a mortgage. How are Texas deeds foreclosed? The primary method of foreclosure in Texas involves what is known as non-judicial foreclosure. Except for certain notice provisions this type of foreclosure does not involve court action. When the deed of trust is initially signed it will usually contain a provision called a power of sale clause which upon default allows a trustee to sell the property in order to satisfy the underlying defaulted loan. The trustee acts as a representative of the lender to effectuate the sale which typically occurs in the form of an auction. Because this is a non-judicial remedy there are very stringent notice requirements and the legal documents are required to contain the power of sale language in order to use this type of foreclosure method. Prior to initiating a foreclosure the lender must send a demand letter requesting the payment of past due amounts which gives the borrower twenty (20) days to pay any past due amounts otherwise foreclosure proceedings will begin. After the twenty day notice above and at least twenty-one (21) days before any foreclosure sale, further notice of the foreclosure must: (a) be filed with the county clerk in the county in which the property is located; (b) mailed to the defaulting borrower (and other creditors whose liens affect the property) and; (c) be posted at the county court where any sale would occur. Foreclosure sales must take place on the first Tuesday of each month (between 10AM and 4PM) at the courthouse, even if the date falls on a legal holiday. The trustee will auction the property to the highest bidder including the lender who is given credit for the value of the balance of any outstanding indebtedness under the loan. In Texas, the lenders can also go to court in what is known as a judicial foreclosure proceeding where the court must issue a final judgment of foreclosure. If the deed of trust does not contain the power of sale language the lender must seek judicial foreclosure. The property is then sold as part of a publicly noticed sale. A complaint is filed in county court along with what is known a lis pendens. A lis pendens is a recorded document that provides public notice that the property is being foreclosed upon. What are the legal instruments that establish a Texas mortgage? Depending on the timing of the various required notices, it usually takes approximately 60 days to effectuate an uncontested non-judicial foreclosure. This process may be delayed if the borrower contests the action in court, seeks delays and adjournments of sales, or files for bankruptcy. Is there a right of redemption in Texas? Texas has no statutory right of redemption, which would allow a party whose property has been foreclosed to reclaim that property by making payment in full of the sum of the unpaid loan plus costs. Are deficiency judgments permitted in Texas? Yes. A deficiency judgment may be obtained when a property in foreclosure is sold at a public sale for less than the loan amount which the underlying mortgage secures. These judgments are limited to the difference between the fair market value of the property (regardless of what the property sold for at the foreclosure sale) and the defaulted loan amount at the time of sale. Fair market value is determined by appraisal. 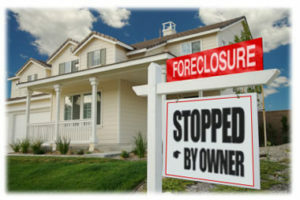 What statutes govern Texas foreclosures? The laws that govern Texas foreclosures are found in Title 5, Section 51 of Texas Code.